Following last years successful trip to ISPO Munich, we didn’t question the chance to visit again in 2018. 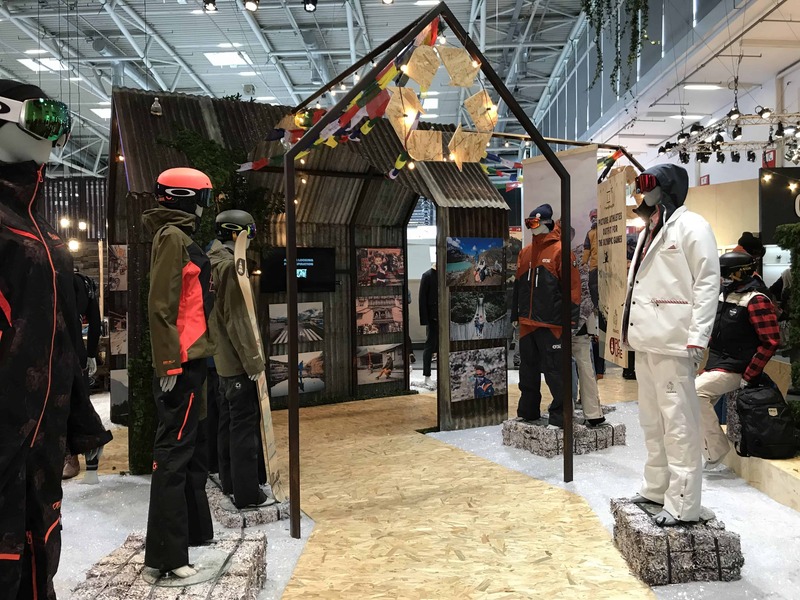 Early last week, we visited the outdoor sports trade show, to learn more about the latest in outdoor sports trends and check out the stand designs; as well as to speak to some established brands about their plans for 2018. 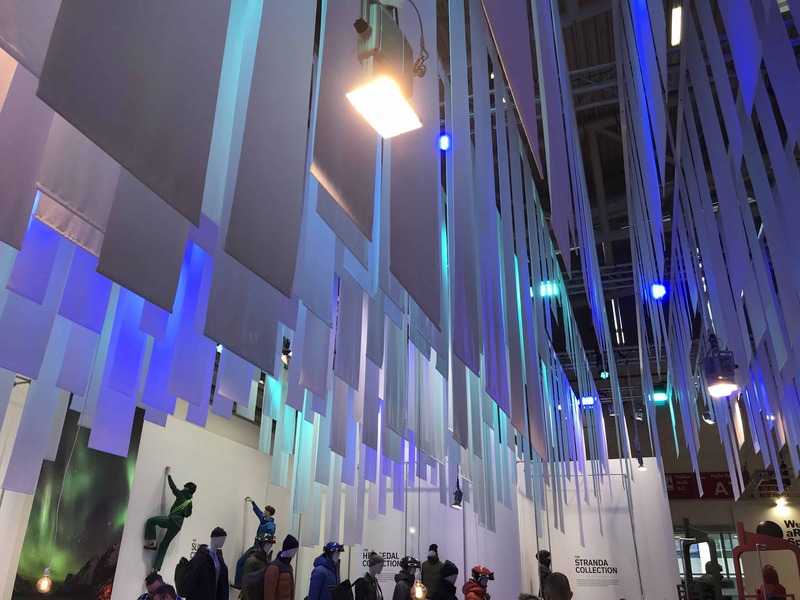 With this being the second visit to ISPO, we were pretty accustomed to the vastness of the show and the hundreds of brands to feature across the many halls. Just like last year, a number of the stands were offering coffee, beer and snacks; creating a generally relaxed and inviting vibe across the show. Another detail we picked up on was the re-use of stand design from the 2017 show. Understandably, with brands spending a great deal of money on a stand for the show, it would seem most cost effective to use the same design again. However, we certainly explored some new innovative elements at this years exhibition, with brands focusing on key trends. 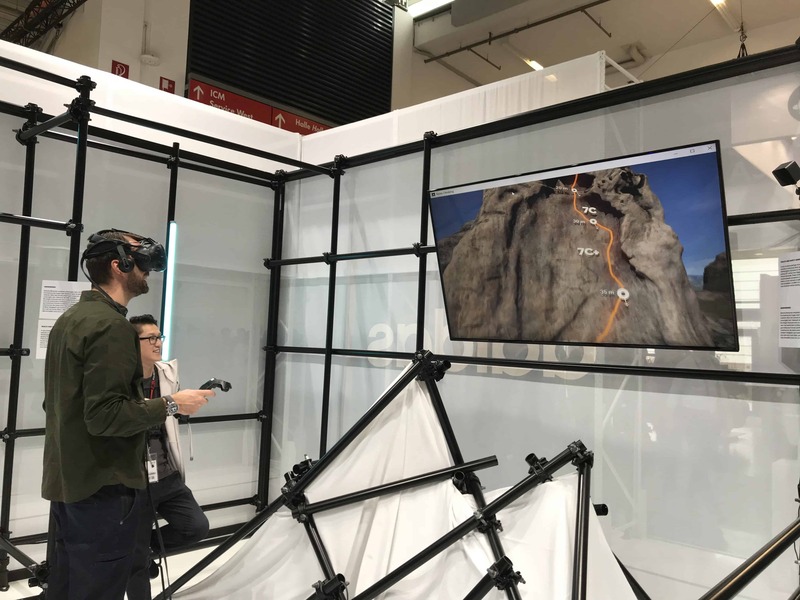 Before we arrived at the show, we regularly checked the ISPO website as well as social media channels to understand what was going to be on offer during our two-day visit. 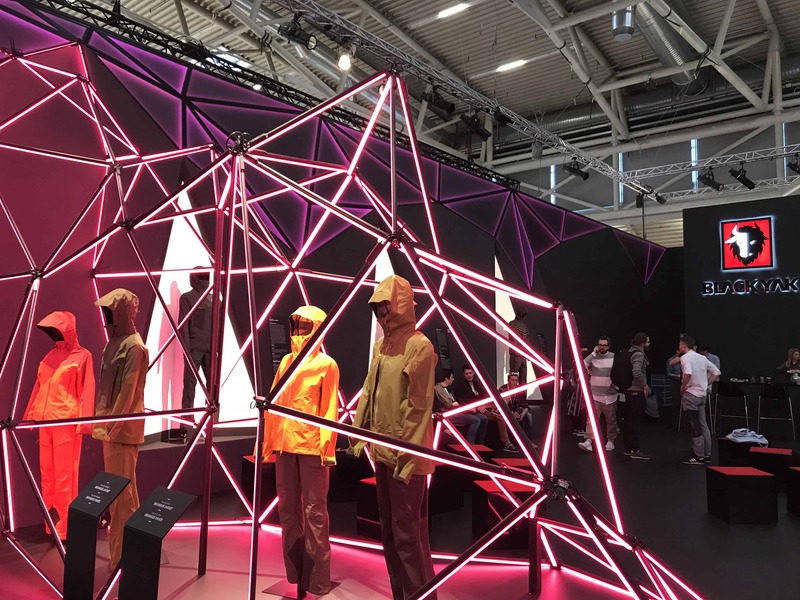 An article which caught our attention focused on adidas’ return to the show, with a stand focused on digitalisation; a trend which we all know took the retail design world by storm in 2017 and is set to create further impact throughout this year to come. Even if we had not ventured to find the adidas stand, it would have been hard to miss. With digital screens asking passers-by if they were ‘ready for the future?’ the intrigue was set from the very beginning. Once inside the stand, there was an abundance of technology to throw yourself into. From screens highlighting branded content through to virtual reality experiences, it was clear that digitalisation is at the heart of the adidas brand for 2018. An area dedicated to their 3D carbon-created trainer took on the appearance of a science lab, whilst the adidas knit area took a more fashion-led approach. 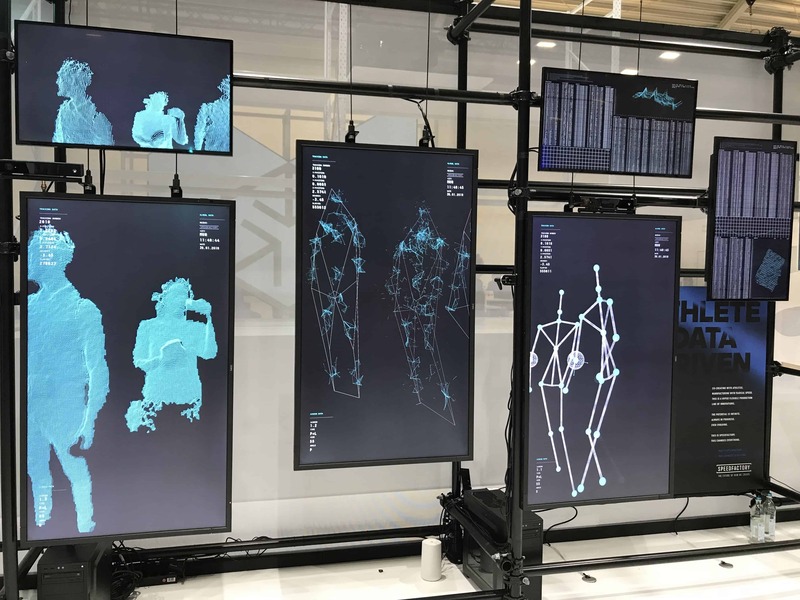 However, two key areas which yielded the biggest crowds were the computer screens focusing on body content and athlete data as well as the experiential table where visitors could design their own mini-sneaker. We spent the greatest amount of time in this stand, exploring each digital option and generally enjoying the buzz of the crowd who were on the stand with us. In second place on our top five stands, is Berg Outdoor. The stand itself was quite large with plenty of space for product showcase, but it was one particular corner which kept us interested. With 2017 citing customer experience as one of the greatest trends in retail (and 2018 ready to further this trend) it was great to see an area of the Berg stand which was purely focused on the customer. 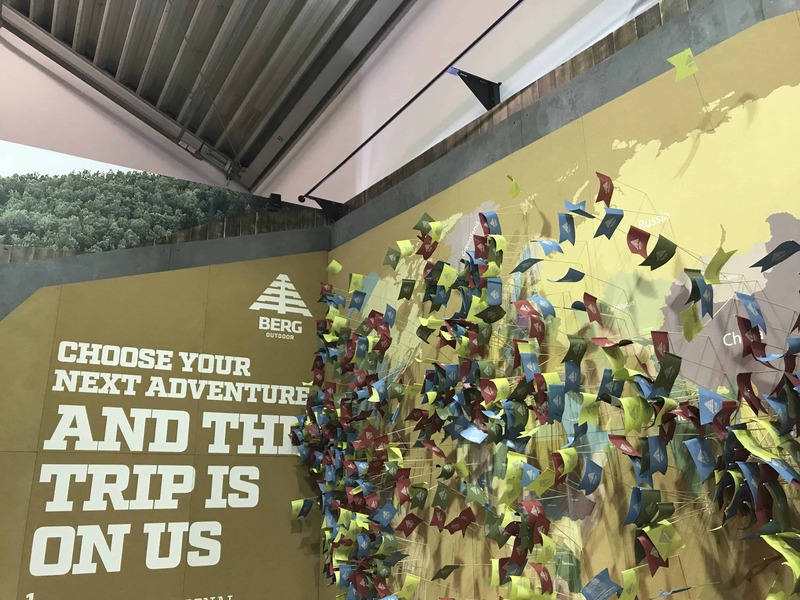 A large corkboard wall asked visitors to choose their next adventure using only a flag and a map, with the chance for Berg to pick a winner and pay for the trip. To many, it may seem like a simple idea but the crowds on the stand and the sheer amount of flags being stuck to the corkboard, highlighted the buzz of excitement this interaction caused. This was a stand which caught our eye due to its impactful simplicity – two words which don’t often go together. 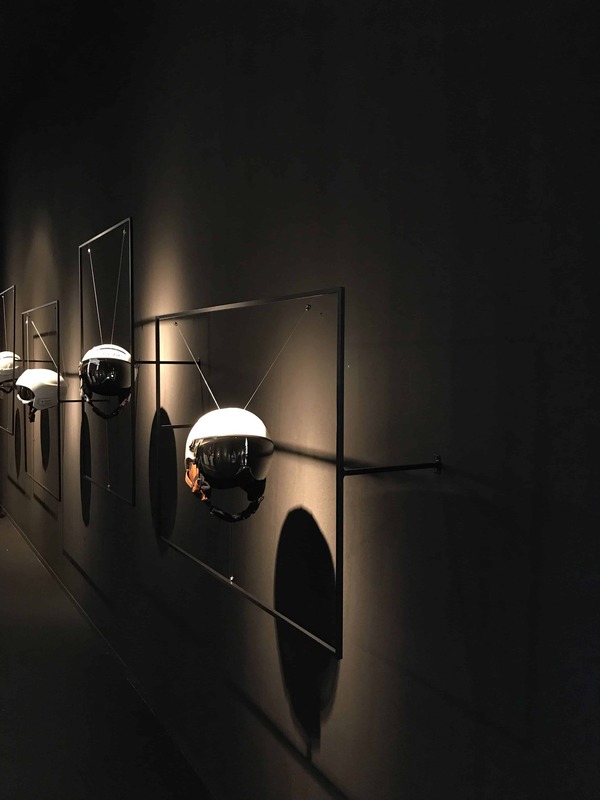 Black walls were adorned with simple metal frames, featuring their 2018 helmets hung from almost invisible wiring; creating a ‘floating in space’ effect for the products. The lighting was also minimal, with spotlights bouncing off the metal of the helmets. Just two areas with written content about the brand stood out beside the product, creating overt simplicity which was a refreshing change amongst the intensity of most stands. Total disclosure: this was not a brand we set out to see. So, it was the perfect placement of the stand and intrigue it caused with the brightly colour lens’ which caused us to stop and take an interest. 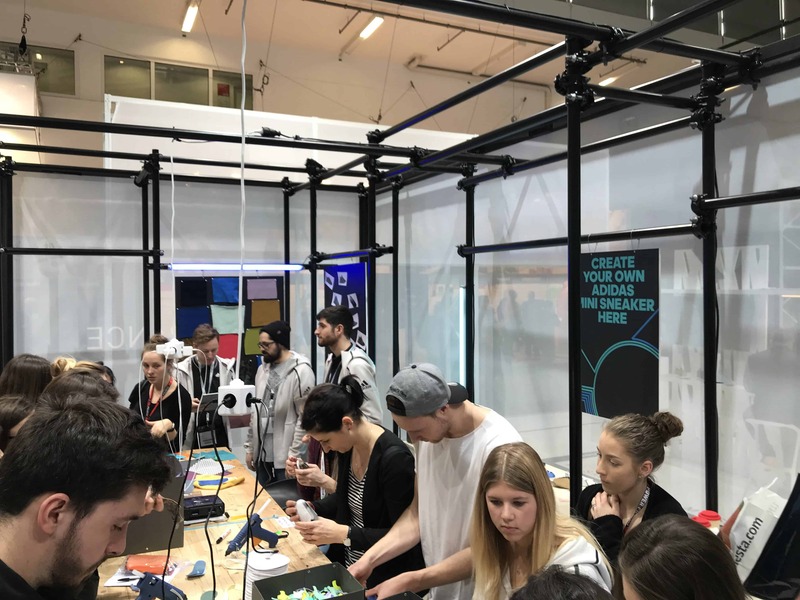 A brand dedicated to dying clothes ethically and with sustainable methods, the relatively small stand invited visitors into an educational journey of the brand. 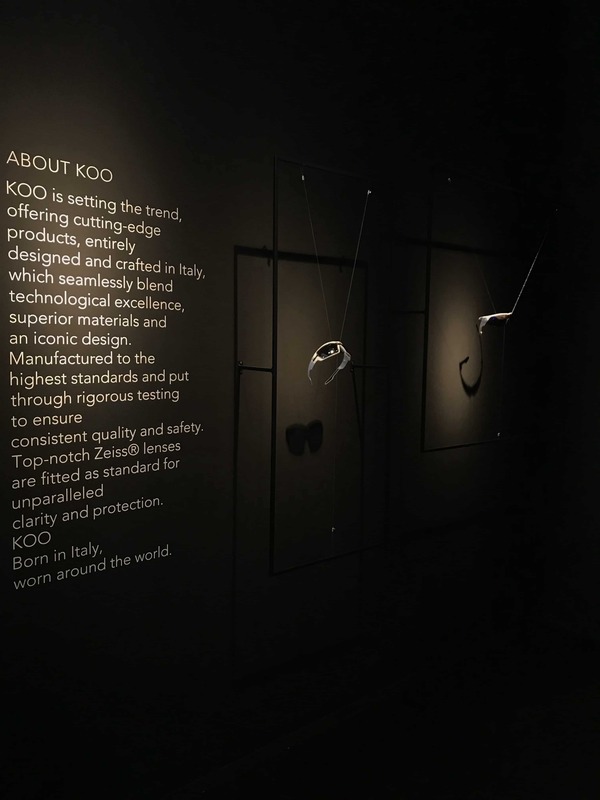 The snippets of information placed along the wall were museum-like, leading visitors around the space, pausing to read about the brand whilst admiring the colour lens’. 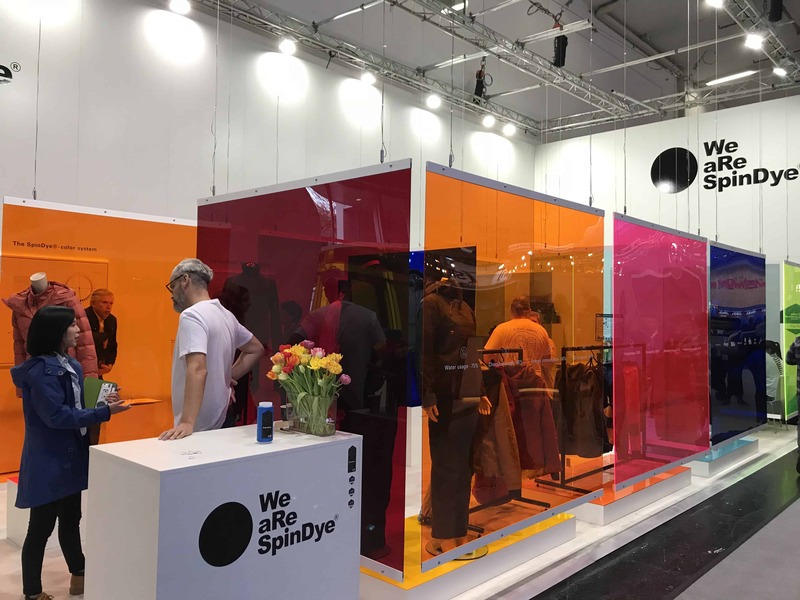 As sustainable fashion was a key focal point at this year’s show, We Are Spin Dye provided a very on-trend and on-brand space. Amongst the darkness of many stands, Bergans offered a light and bright space which replicated the feeling of being on the slopes. Covering the entire top of the stand were simple white sheets, reflecting the colours of the aurora borealis and creating the ultimate Nordic experience. Also committed to the trend of sustainability, the Bergans stand included a small space where brand materials were being recycled into new products (small purses, laptop sleeves etc) for visitors to donate €5 or more and take away with them. The Picture stand made a positive impact on the D4R team, leading to us creating a top six rather than the most used top five. 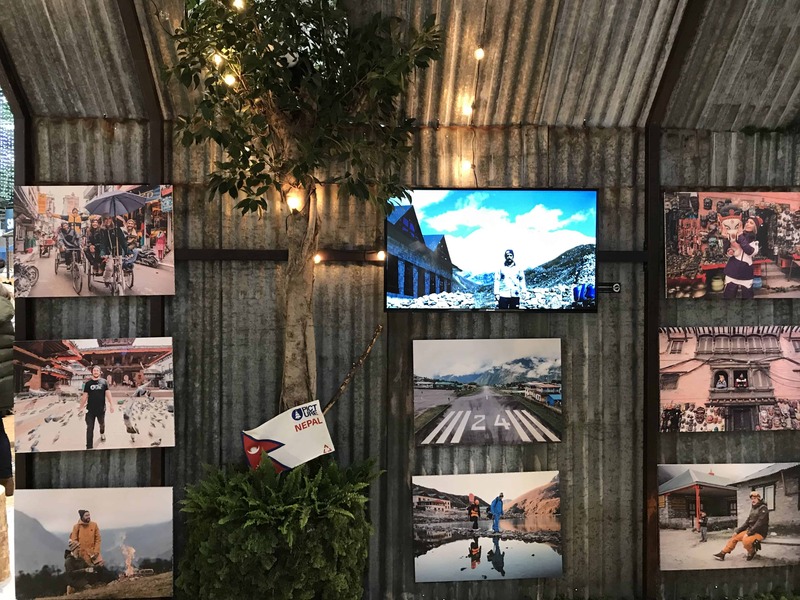 The details which contributed to this included: the picture runway within a tin hut, the recycled paper plinths sat amongst fake snow, the polaroid wall dedicated to Nepal and the sustainable ‘from plastic bottles to jackets’ board. A busy stand (both in stand design and visitors) but one that encouraged us to explore every part of it – and leaving with only positive remarks on the space itself. ISPO is a trade show of vast proportions, with each and every hall offering a plethora of brands with different stands. 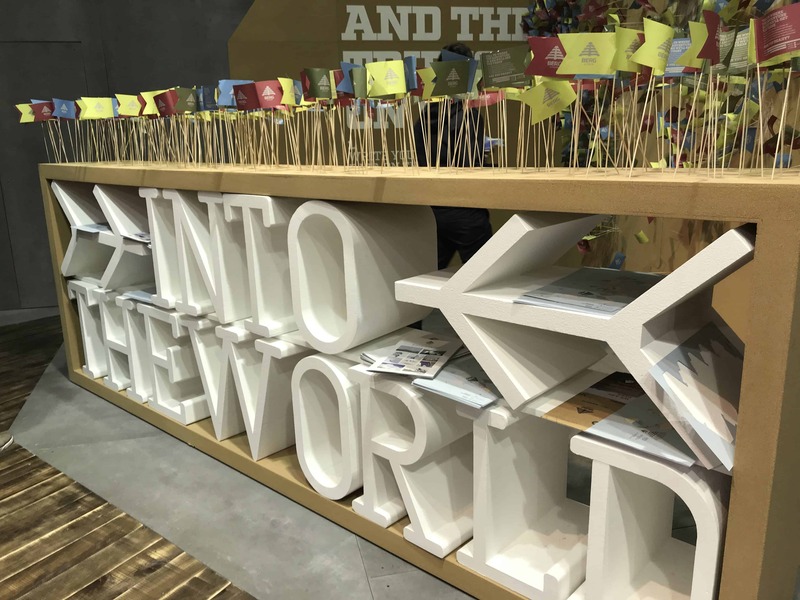 However, throughout our two days at the show, we picked up on three key trends which nearly every brand managed to encapsulate. Firstly, sustainability. 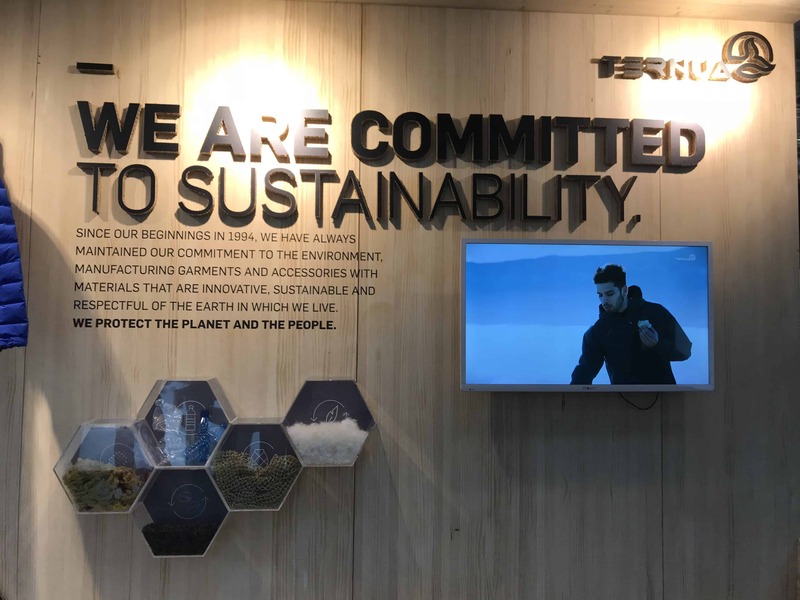 Whether the stand screamed sustainable materials or featured subtle messaging about ethical sourcing, the theme of sustainability in outdoor sports retail was incredibly prominent. This included everything from fabrics through to stand design; an element which we will take into consideration when thinking about future designs. Secondly, lighting. It was impossible to miss the vast use of lighting throughout the whole show. Low hanging vintage bulbs, delicate spotlights, brightly coloured strip lighting and coloured lens were visible from all angles in the many halls. Thirdly, digitalisation. 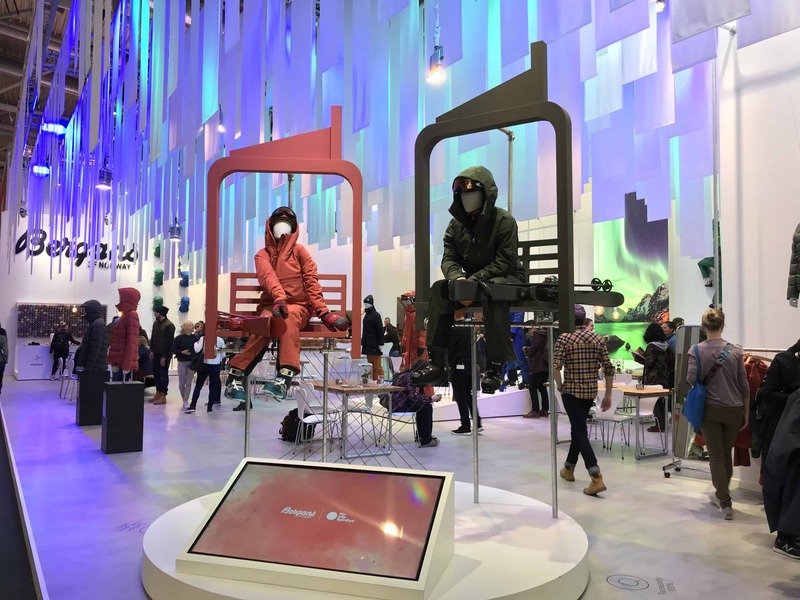 If the adidas stand didn’t provide enough insight into the digital trend of 2018, many other stands also backed this up. 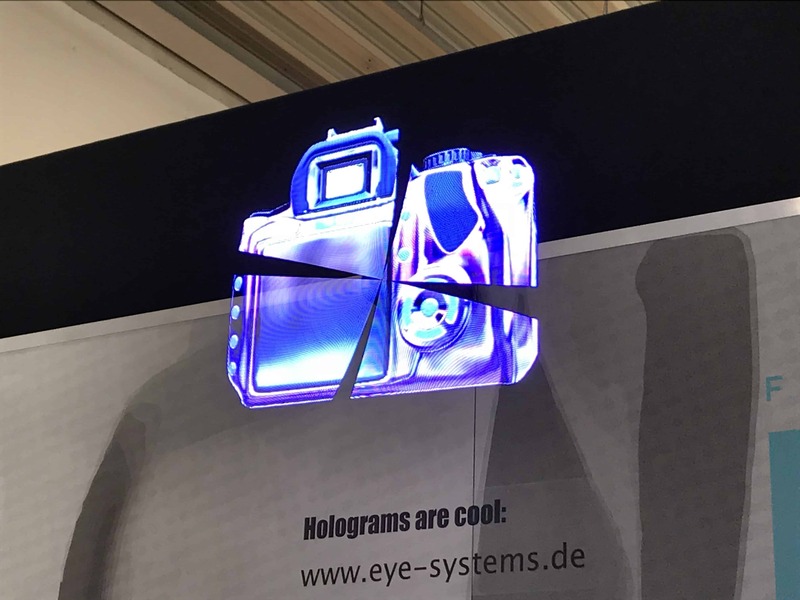 From virtual reality through to holograms, it become clear that the impact of digital media on brands’ product and retail design would be firmly imprinted in this year’s trends. 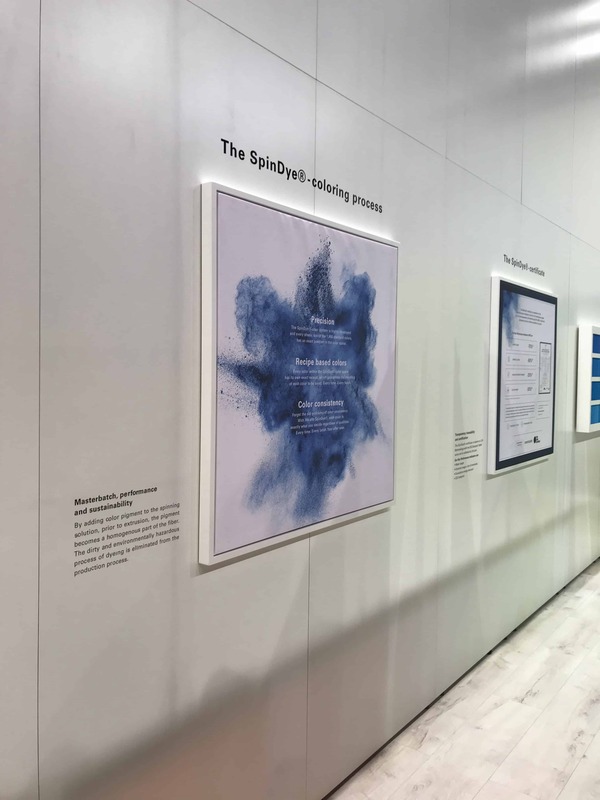 As we walked around the show, speaking to many brands whom were exhibiting, we picked up valuable knowledge which influences our research and insight internally as a design agency. Until next year ISPO!